You will find below the horoscope of Reese Witherspoon with her interactive chart, an excerpt of her astrological portrait and her planetary dominants. Horoscopes having the same aspect Moon trine Midheaven (orb 0°18'): Taylor Swift, Beyoncé Knowles, Diana, Princess of Wales, David Bowie, Brigitte Bardot, Al Pacino, Whitney Houston, Alyssa Milano, Mike Tyson, Osama bin Laden, Greta Garbo, Bill Cosby... Find all the celebrities having this aspect. Horoscopes having the same aspect Sun square Mars (orb 0°25'): Jennifer Aniston, Catherine Zeta-Jones, Jennifer Lawrence, François Fillon, Nikola Tesla, Tina Turner, Jacques Chirac, Nicole Garcia, Ewan McGregor, Patrick Swayze, Anthony Kiedis, Stevie Nicks... Find all the celebrities having this aspect. Celebrities born the same day: Fanny Ardant, Penny Thornton, William Shatner, Marcel Marceau, Andrew Lloyd Webber, Lena Olin, Stephen Sondheim, Matthew Modine, Erik Orsenna, Martin Chirac, Mario Cipollini, Lúcia dos Santos... List of all the celebrities born on March 22. Celebrities being the same height: Ariana Grande, Jennifer Love Hewitt, Bernadette Chirac, Raven-Symoné, Geri Halliwell, AJ Lee, Victoria Abril, Julia Louis-Dreyfus, Liane Foly, Abdelaziz Bouteflika, Duffy (singer), Felicity Jones... List of all the celebrities being 5' 2½" tall. Celebrities clicked on in real-time: 577,265,437 times. Laura Jeanne Reese Witherspoon (born March 22, 1976 (birth time source (different birth city): http://astrodynamics.net/astrologicalmusings/tag/reese-witherspoon-birthchart / http://www.astrodynamics.net/blogstuff/Witherspoon.jpg), known simply as Reese Witherspoon, is an Academy Award-winning American actress. Witherspoon is frequently cited by media to be one of the most beautiful leading ladies in today's cinema and her off screen life is widely reported. Her first role was in the made for television movie Wildflower (1991), followed by several moderately successful family oriented comedies and dramas in the early-mid 1990s, and then the teenage thriller Fear (1996), where she became something of a teen idol, or pin-up girl. Witherspoon emerged as a young woman in Election (1999), as a obsessive, stressful, vindictive and overachieving teenage girl determined to win everything she sets out to do. Here are some character traits from Reese Witherspoon's birth chart. This description is far from being comprehensive but it can shed light on his/her personality, which is still interesting for professional astrologers or astrology lovers. 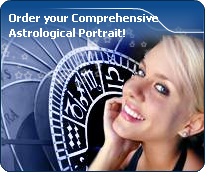 In a matter of minutes, you can get at your email address your astrological portrait (approximately 32 pages), a much more comprehensive report than this portrait of Reese Witherspoon. Reese Witherspoon, the diurnal South-western quadrant, consisting of the 7th, 8th and 9th houses, prevails in your chart: this sector brings about a thirst for communication and sometimes, a need to take risks in your dealings with others. Relations are a factor of your evolution and your transformation, which you accept serenely. Indeed, what matters to you is the movement and the energy that link you to others and that make you gain more awareness. A kind of rebellion or a desire to get away from it all is rooted in you. Reese Witherspoon, Fire is dominant in your natal chart and endows you with intuition, energy, courage, self-confidence, and enthusiasm! You are inclined to be passionate, you assert your willpower, you move forward, and come hell or high water, you achieve your dreams and your goals. The relative weakness of this element is the difficulty to step back or a kind of boldness that may prompt you to do foolish things. The predominance of Water signs indicates high sensitivity and elevation through feelings, Reese Witherspoon. Your heart and your emotions are your driving forces, and you can't do anything on Earth if you don't feel a strong affective charge (as a matter of fact, the word "feeling" is essential in your psychology). You need to love in order to understand, and to feel in order to take action, to the detriment of a certain vulnerability against which you should learn to fight. Air is under-represented in your natal chart, with only 2.79% instead of the average 25%. Air symbolizes the values of communication, exchanges with others, but also adaptability and flexibility abilities: if you don't get out of your cocoon to talk, to show interest in others, and to socialize, you may have problems understanding others. Because of your lack of flexibility or of your refusal to adapt yourself, you may be suddenly overwhelmed by events. You should get into the habit of talking, of phoning, and of thinking in terms of "mobility, flexibility, adaptability, change" in every circumstance. It will spare you so many troubles! Reese Witherspoon, the Cardinal mode is dominant here and indicates a predisposition to action, and more exactly, to impulsion and to undertake: you are very keen to implement the plans you have in mind, to get things going and to create them. This is the most important aspect that inspires enthusiasm and adrenalin in you, without which you can grow weary rapidly. You are individualistic (maybe too much?) and assertive. You let others strengthen and improve the constructions which you built with fervour. Cadent houses, namely the 3rd, 6th, 9th and 12th houses, are very emphasized in your chart, Reese Witherspoon. They indicate important potential for communication, adaptability and flexibility. These houses are symbolically linked to the mind and intellect. The relative weakness implied by these characteristics indicates your tendency to hesitate or to be indecisive, but also your remarkable ability to start off again, which is a nice quality, finally: you can easily get yourself out of a tight spot thanks to your mobility and casualness, in the best sense of the term. This group of houses corresponds to evolutionary characteristics of your personality. However, they are only indications and you must include them in the rest of your chart in order to see whether they are validated or not! The three most important planets in your chart are Jupiter, Uranus and the Sun. The 9th, 8th and 5th houses are the most prominent ones in your birth chart. From the analysis of the most tenanted houses, the astrologer identifies your most significant fields or spheres of activity. They deal with what you are experiencing - or what you will be brought to experience one day - or they deal with your inner motivations. After this paragraph about dominant planets, of Reese Witherspoon, here are the character traits that you must read more carefully than the previous texts since they are very specific: the texts about dominant planets only give background information about the personality and remain quite general: they emphasize or, on the contrary, mitigate different particularities or facets of a personality. A human being is a complex whole and only bodies of texts can attempt to successfully figure out all the finer points. Your sensitivity is withdrawn, Reese Witherspoon: more than anyone, you tend to lock yourself in your ivory tower, as you are aware of a kind of superiority that may be real, though overrated. Your moods are not perceptible because you control them with a tight fist. It is difficult to know if you are happy or upset because you show nothing. You avoid situations which compel you to reveal your emotions because you are not demonstrative. Please, be aware that it is not your amorous behaviour that is being analyzed, but the daily expression of your sensitivity. You dread the crowd and you need calm, and even solitude, to feel comfortable. You are well-equipped to remain balanced in all circumstances, but it may prove beneficial if you progressively take a relaxed attitude and show more dedication, as you are worth it; it is easier for you to exteriorize your feelings when your projects or your ambitions justify that you do so. You do not practice gratuitous outpourings, particularly when your are with a group, because you are afraid to open up, as if you were on the defensive, without any reason most of the times. Compassion and self-sacrifice: you are fond of this romantic mode and you are willing to express your feelings, the intensity of which is unlimited, Reese Witherspoon. With excitement and imagination, you dream your amorous relationships as much as you actually live through them. The line between the concrete world and your huge hopes is so tenuous that you don't know anymore where it is, although your particularly rich sensuality prompts you to experience your feelings concretely. You want to share communion and passion with your partner. The lyrical flights of your feelings break from your heart as waves that you do not attempt to control because they give you a real, almost voluptuous and carnal joy. You give a lot – sometimes too much - without reservation, almost without propriety, totally revealing your vulnerability during your amorous exchanges because you are sure of the quality and the might of your feelings: they are so powerful and overwhelming that you are aware that nothing can resist them. It is difficult to find a more sensitive person than you, Reese Witherspoon. You are able to contain your aggressiveness and it may be hard for you to exteriorize your feelings. You are usually passive and you draw your strength from inertia and resistance more than from the will to take action. Your mood is changing, you show little of yourself and you may surprise with your inopportune reactions that come late, when people have forgotten what it was all about. The only area where you express yourself with zeal and where your actions are successful is the area of home or, more symbolically, in the fields where you can achieve security. In other words, you need to feel comfortable before you can move, in concrete matters as well as in sexuality. This text is only an excerpt from of Reese Witherspoon's portrait. We hope that it will arouse your curiosity, and that it will prompt you to deepen your knowledge of astrology, as well as to visit and use the wide range of free applications at www.astrotheme.com.